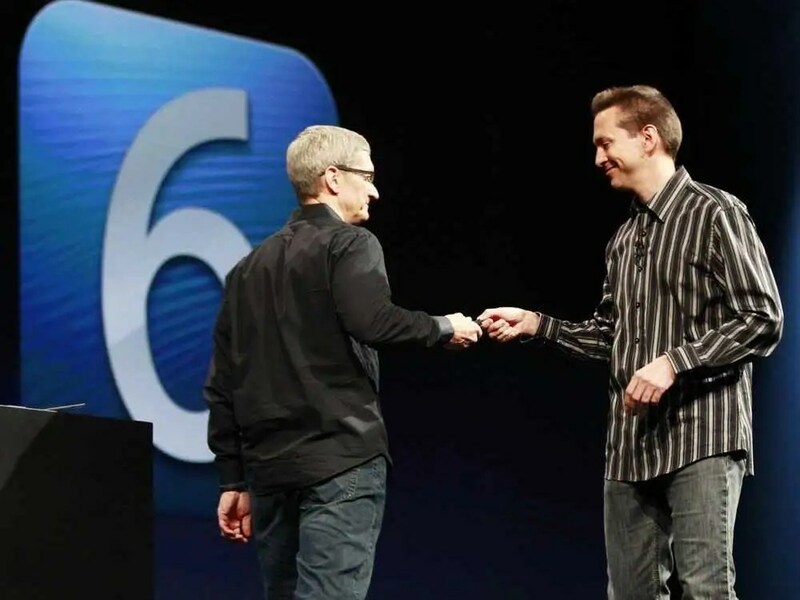 Tim Cook on stage with Scott Forstall (on the right). A year ago today, Apple fired Scott Forstall, the SVP of iOS software. iOS is the software that powers the iPhone, iPad, and iPod Touch. Together, those products make up 70% of the company’s revenue. Firing Forstall was the biggest decision Tim Cook made as CEO. It set a new direction for Apple, and truly started the post-Steve Jobs era. Ousting Forstall had to be a tough decision for Cook. Forstall created the iPhone’s software. On the patent for how the iPhone works, Forstall is the second name after Steve Jobs. Forstall was considered a mini-Steve Jobs. He was also dubbed the “CEO-in-waiting.” He was smart, hard-working, and abrasive. However, unlike Jobs’ abrasive personality which managed to win people over and command loyalty, Forstall’s abrasive personality was a turn-off to Apple’s top executives. That is reportedly why Apple forced Forstall out of the company. 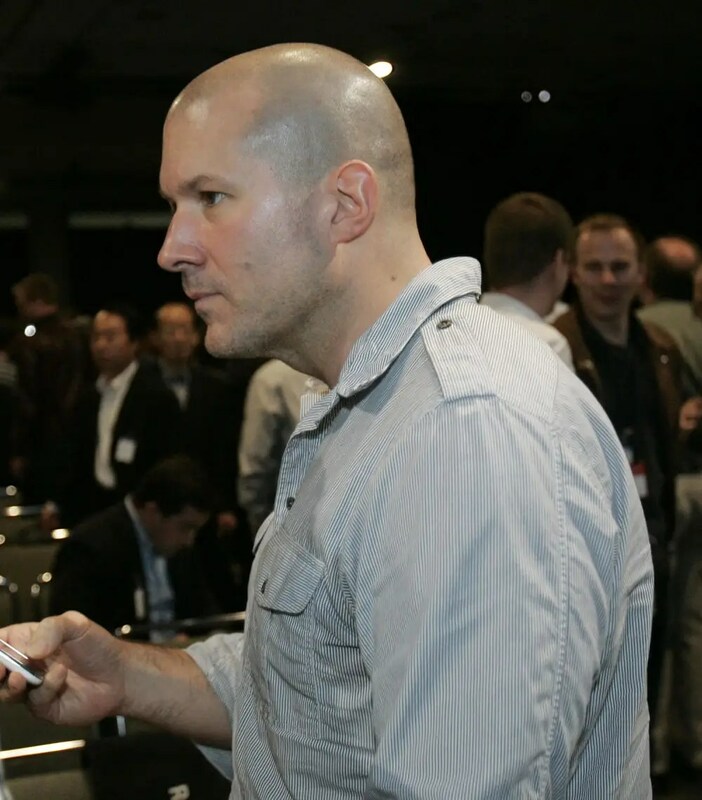 Jony Ive, the new leader at Apple. Jony Ive, the hardware designer who makes Apple’s industry defining device designs, reportedly couldn’t stand to be in the same room as Forstall. Bob Mansfield, who led Apple’s hardware engineering also disliked Forstall.Cook had a choice: Keep Forstall, who ran the most important business at Apple, and alienate Ive, and Mansfield. Or fire Forstall, and keep those guys happy. Luckily for him, Forstall made the choice simple. Forstall led the development of Siri, and Apple Maps. Both were big flops, and embarrassments for Apple. Cook issued a public apology for Maps, and asked Forstall to sign his name to it. Forstall refused, and Cook decided enough was enough. He forced Forstall out. At least, that’s the story that leaked in the press. It’s possible Cook was thinking about firing Forstall sooner. We don’t know the full story because Forstall has disappeared. He hasn’t made a single peep as far as we can tell. At various points through the year, we’ve tried to ask around to see what he’s doing, but we’ve heard zip. This is in contrast to Steven Sinofsky, who was at Microsoft. 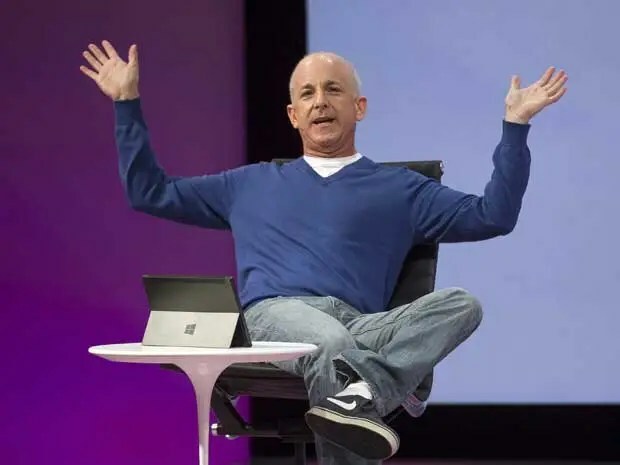 Sinofsky, much like Forstall, was considered the CEO-in-waiting at Microsoft. He led Windows, and was said to have a demanding, abrasive personality. He too was forced out of Microsoft. Unlike Forstall, who went silent, Sinofsky was commenting on blogs, writing his own long blog posts, working at Harvard, and eventually turned up at venture firm Andreessen Horowitz.Forstall, meanwhile, is nowhere to be found. It’s still early in the day, but thus far we haven’t even seen another story marking the occasion. Forstall has been forgotten. Which is strange, because the day after he was booted, we noted he was the most valuable free agent in tech. Samsung, Microsoft, Google, and many other companies would love to have Forstall, with his expertise in mobile software. He’s clearly bound by a contractual agreement to sit still. This too is surprising, though. How much money could Apple pay him to shut up? Is it worth being gagged for years? Especially when you consider what Apple has done to his work. Since Forstall left, Apple has wiped out much of his legacy. The basics of how the iPhone works remain intact. However, the look and feel of the iPhone’s software are totally different. Ive was promoted when Forstall was fired. Ive changed everything about how iOS looks. He “flattened” it. He took away the life-like animations, and life-like illustrations. He made things simple, less glitzy. When Apple introduced its new software in June, it even took little potshots at Forstall’s design. 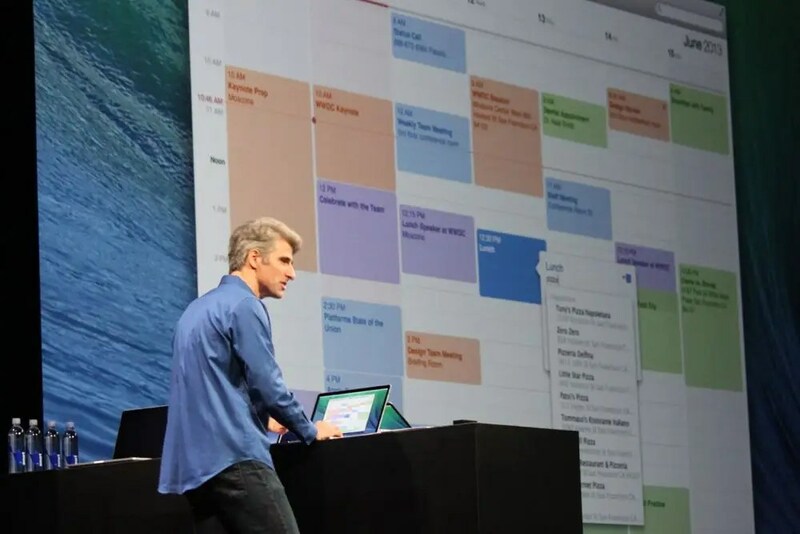 Federighi on stage making fun of Apple’s old design. On stage, Craig Federighi, who also got a promotion when Forstall was kicked out, introduced a redesigned Game Center saying, “We ran out of felt and wood.” The old version of Game Center had a felt and wood design on it. The new version was flat, with no textures.It was weird to see Apple making fun of… well, Apple. Federighi wasn’t just insulting Forstall’s design taste, but also the design taste of Steve Jobs, who reportedly loved digital textures that looked like real-life design. 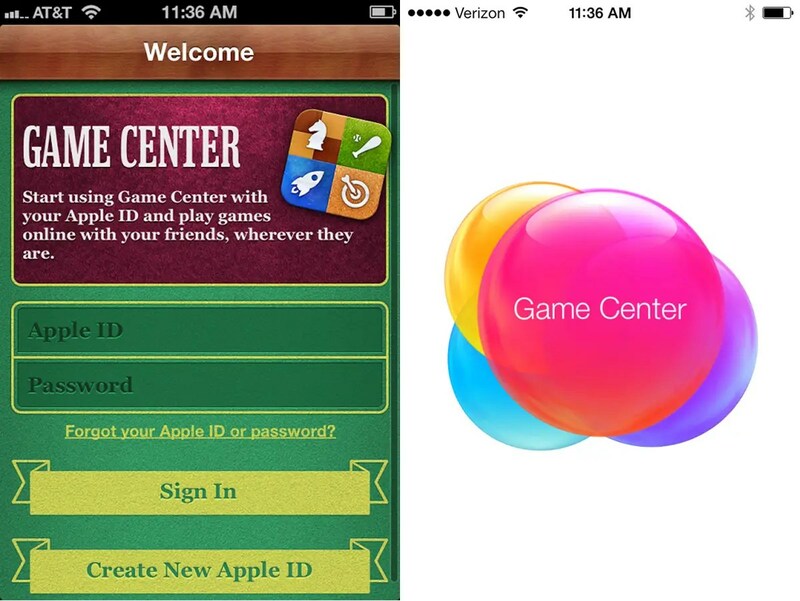 How Game Center changed. The Forstall/Jobs-approved version is on the left. “I’m not going to pretend to know Jobs’s taste — no one could, that’s what made Steve Jobs Steve Jobs — but I can certainly make a guess, and my guess is that he would not have supported this direction,” Apple authority John Gruber recently wrote, “Apple authority John Gruber recently wrote, “This is neither damning nor praising iOS 7. But I do think it’s a tangible sign that Tim Cook means it when he says that Jobs’s advice to him was never to ask ‘What would Steve have done?’ but instead to simply ask ‘What is best for Apple?’ and judge for himself.”This design change is the first truly post-Jobs product Apple released. By removing Forstall, Cook set the path for the company in the years to come. Ive will be the creative genius, the visionary that guides Apple. The company will be more collaborative, and less tied to one person as it was under Jobs. So far, the results look good. iOS 7 has some problems, but overall, it’s a solid product. It didn’t suffer from the glaring problems that plagued Siri and Maps. For now, firing Forstall, the biggest decision Cook made as CEO, seems to be the right one.